Team a navy polo with a Tommy Bahama rough cotton raffia fedora from Nordstrom to be both cool and relaxed. Wearing a pair of white plimsolls is a simple way to add extra flair to your ensemble. 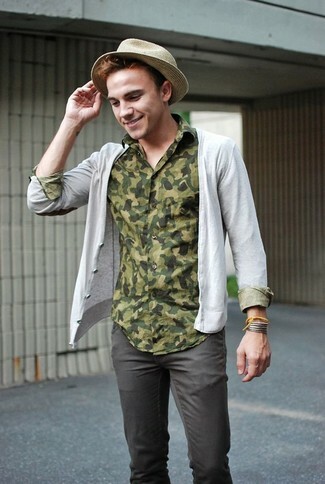 If you're a fan of relaxed dressing when it comes to your personal style, you'll love this killer pairing of a grey cardigan and a beige straw hat. 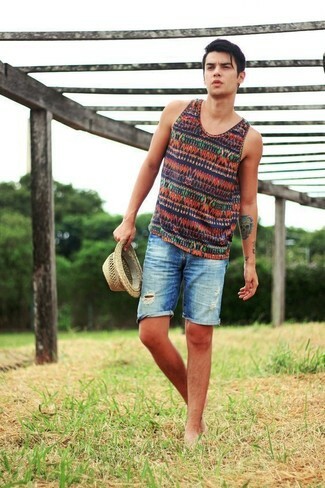 For a comfortable-as-your-couch outfit, team a multi colored horizontal striped tank with a beige straw hat. 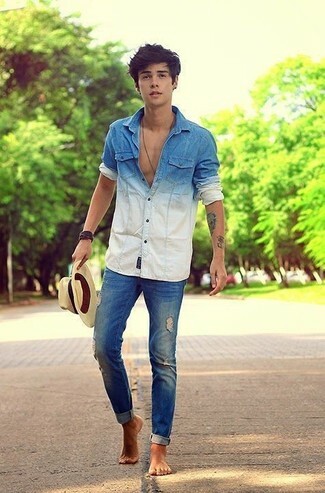 If you prefer functionality dressing when it comes to your personal style, you'll love this easy pairing of a blue ombre denim shirt and a beige straw hat. 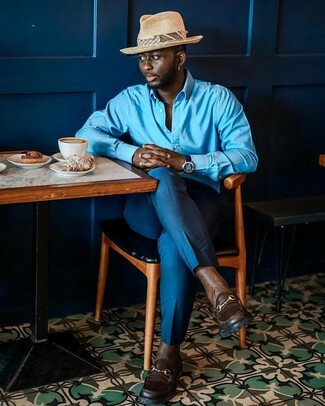 If you prefer relaxed dressing when it comes to your personal style, you'll love this easy pairing of a blue long sleeve shirt and a Tommy Bahama rough cotton raffia fedora from Nordstrom. 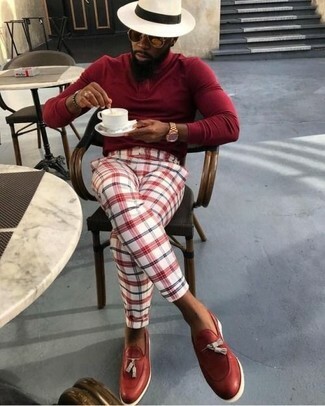 Throw in a pair of dark brown leather loafers to take things up a notch. If you're a fan of functionality dressing when it comes to your personal style, you'll love this knockout combination of a red turtleneck and a Tommy Bahama rough cotton raffia fedora from Nordstrom. Bring instant glamour to your ensemble with red leather tassel loafers. If you're a fan of relaxed dressing when it comes to fashion, you'll love this on-trend pairing of a brown plaid blazer and a Tommy Bahama rough cotton raffia fedora from Nordstrom. Amp up the cool of your look by wearing brown leather loafers. If you're all about relaxed dressing when it comes to your personal style, you'll love this simple pairing of a black v-neck t-shirt and a Tommy Bahama rough cotton raffia fedora. 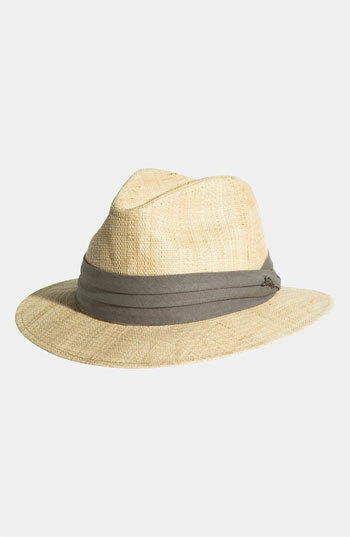 If you're in search of a casual yet sharp ensemble, team a grey suit with a beige straw hat. These garments are totally comfortable and look great together. Add a glam twist to your look with brown suede derby shoes.